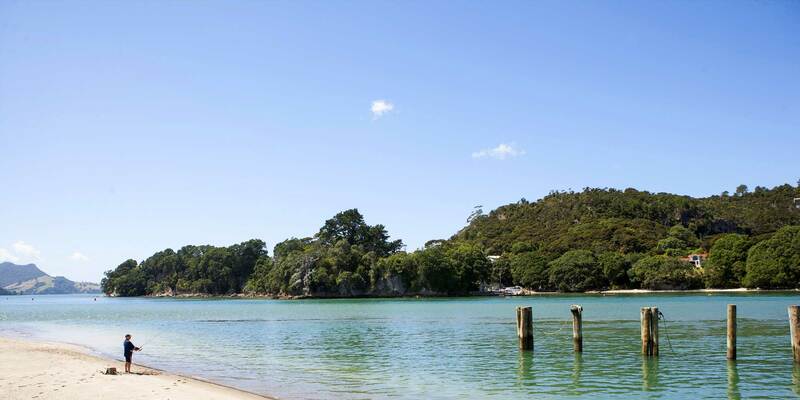 The Lost Spring is situated adjacent to Oceans Resort - your Whitianga apartment accommodation, feel free to use our private access gate to get to this utterly relaxing thermal wonderland. The Lost Spring is a unique thermal pools and spa experience located on New Zealand’s Pacific coast. With its sculpted pools, soothing waterfalls, and smoking volcano, the Lost Spring offers more than simply a swim in hot water. The smooth rocks, hidden gemstones, and dense foliage blend with the geothermal spring to tell a New Zealand story, the story of the birth of the Coromandel Peninsula. Relax in one of the pools flowing with crystal clear water from a well 644 meters below the earth’s surface. Revitalize in the day spa where a variety of healing treatments are offered in an exquisite setting. Explore the remarkable grounds planted with lush native New Zealand bush and tropical plants. Book your Coromandel Peninsula accommodation at Oceans Resort today!